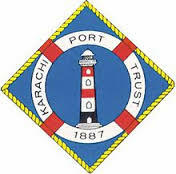 The Karachi Port Trust (KPT) on Tuesday fell back in the hands of the Pakistan Navy after five years of civil administration. The Pakistan People’s Party (PPP) government had a handed over the administration of the country’s largest port operator to civilians but the newly-elected Pakistan Muslim League-Nawaz (PML-N) government brought a naval chief to the helm of the KPT. According to KPT officials, the Ministry of Ports and Shipping wanted to remove KPT Chairman Javed Hanif Khan because it was believed that he was backed by the Muttahida Qaumi Movement (MQM). On Tuesday, retired rear admiral and KPT General Manager (Operations) Azhar Hayat took charge of the KPT from Khan, a former Karachi district coordination officer. Nasrin Haq was appointed as the first female civilian KPT chairperson by the PPP government on June 9, 2008. She had replaced Vice Admiral (r) Asad Qureshi who had been given additional charge of the KPT following the retirement of Vice Admiral (r) Ahmed Hayat on May 31, 2008. On Saturday, Ports and Shipping Ministry had issued a notification ordering Khan’s removal from the post of KPT chairman. However, legal experts said the ministry had acted beyond its domain by ordering the termination of the KPT chairman. “Officers of grade 20 and above can only be removed by the Establishment Division (ED) with the consent of the prime minister,” said an expert, quoting the Civil Service Rules 1973. A removal order was issued by the ED on Tuesday, ending Khan’s KPT chairmanship. Azhar’s appointment as the new chairman has raised eyebrows as the legal experts believe the post should have been filled by KPT Board Vice Chairman Syed Tauqir Hussain Naqvi, former Pakistan National Shipping Corporation (PNSC) chairman and a sitting KPT Board member. “According to the law, the vice chairman, rather than the general manager should become the chairman,” said a legal expert. A KPT board member said the ministry had long been committing such violations of the law, adding that such things did not “cause any harm”. “If the ministry was short of a suitable person it should have done a proper study to find a substitute,” the official suggested. A legal expert said that till 2010, the law providing for the vice chairman to replace the chairman was applicable. “I have not followed an amendment therein, if any,” he said. Sources told Pakistan Today that Azhar was officiating as KPT chairman, adding that in the same capacity, he attended a farewell party for KPT’s Deputy Conservator Captain Shaukat Ali who had retired last month. “Azhar did not own the chairmanship and favored Naqvi for the seat,” the source said.